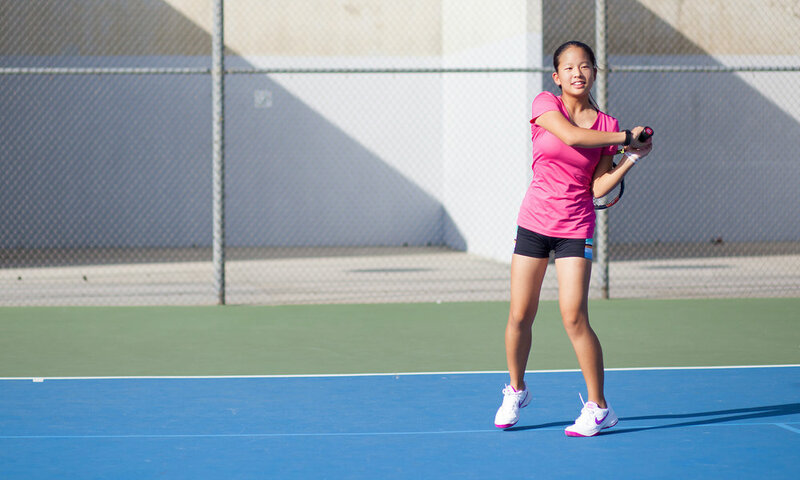 Match Play Tennis Academy is targeted towards tennis players of all ages and ability levels. Our teaching curriculum is based on the United States Professional Tennis Association player development program. We have been operating in Redlands since 1980. It depends on the maturity of the boy or girl, but we can start many kids at age three years old in our Future Stars tennis program. Level I of this program introduces players to serving and tactics. In these clinics, the drills are faster and have more movement. At the Tournament Team Level I, players are starting to hit more effectively to the sides and even come to the net. “I've had the pleasure of working on court with Gabriel Jacob for many years. As a tennis professional, Gabe's knowledge of the game, talent for innovation, enthusiasm and energy are unrivaled. Over the years, I had the opportunity to observe his genius at work, I've witnessed Gabe coaching people of all ages, from children new to the game to high performance players who played in futures and challenger tournaments. Gabe's leadership goes far beyond the tennis court - certainly as a college tennis coach, as a country club pro and as tennis Director running programs at the public parks, but also as a leader in the community. Bottom line, Gabe is a joy to be on court with and I always leave the court a better player."